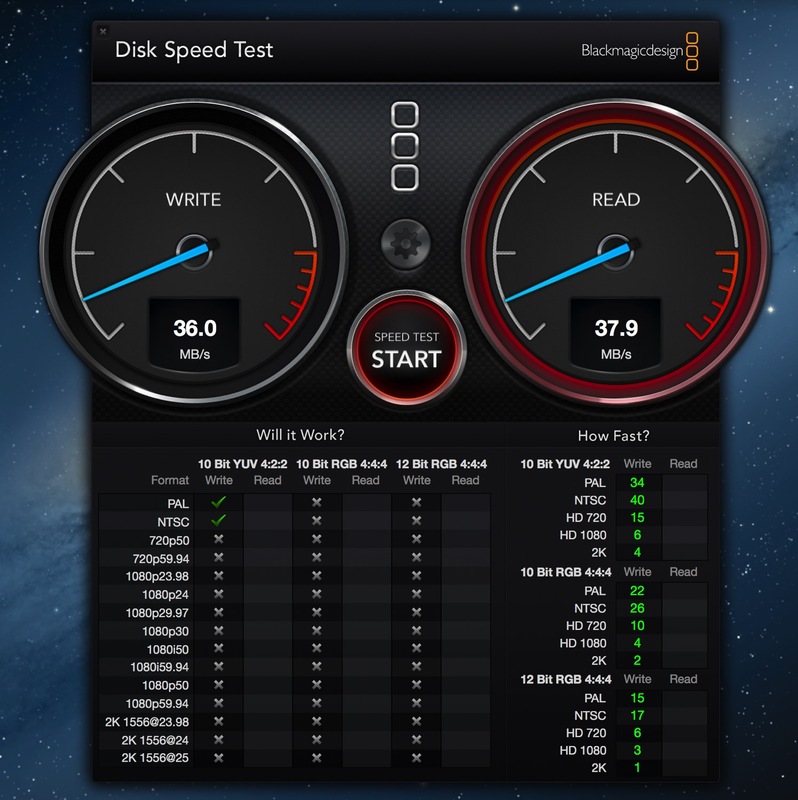 There are various method and utilities to test how fast are your external (and internal) drives really working. You might have bought a USB 3 thumb drive (or a certain USB port) that doesn’t appear to be as fast as others and this will help you verify your suspicions. Most of us do not have USB 3.1 computers just yet, but it should be a very good improvement, though not as dramatically significant as the speed increase from USB 2 to USB 3. So here’s the free tool for the job, the Blackmagic Disk Speed Test (get it here from Apple’s Mac AppStore). This app if offered by Blackmagic Design, the makers of impressively powerful Video gear, including the Blackmagic Digital Film cameras. 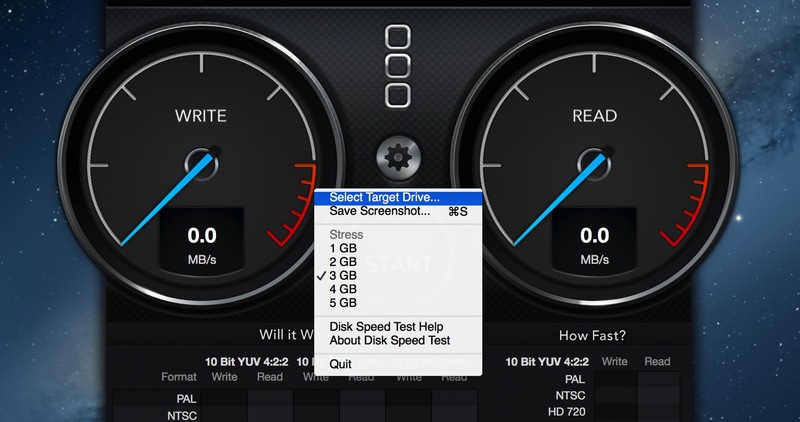 First hit the Settings icon in the center, above the Start button and select the drive you want to test. After that just hit Start and let it run for how long you want to, stopping by pressing Start again. Note that this hard-drive was already connected to my MacBook Pro Retina for a few hours now and I had been working on files inside. 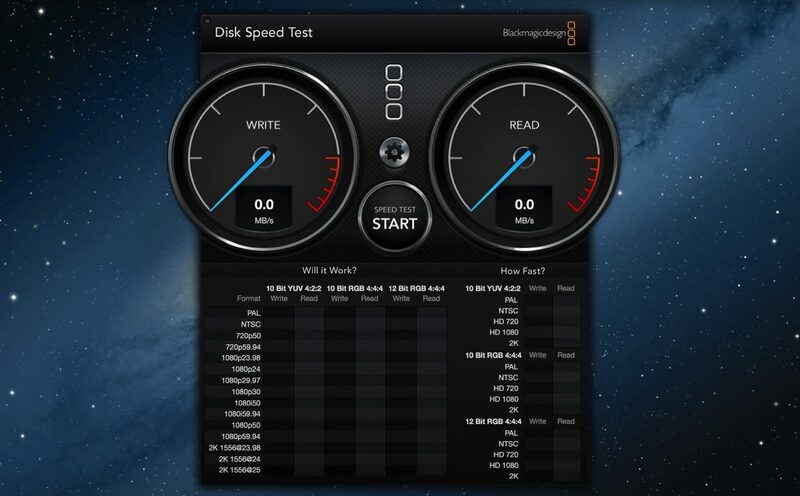 Pretty slow speeds here, well under the theoretical 600 MB/s! Again, well under, but 18 MB/s is much closer to 30 MB/s. 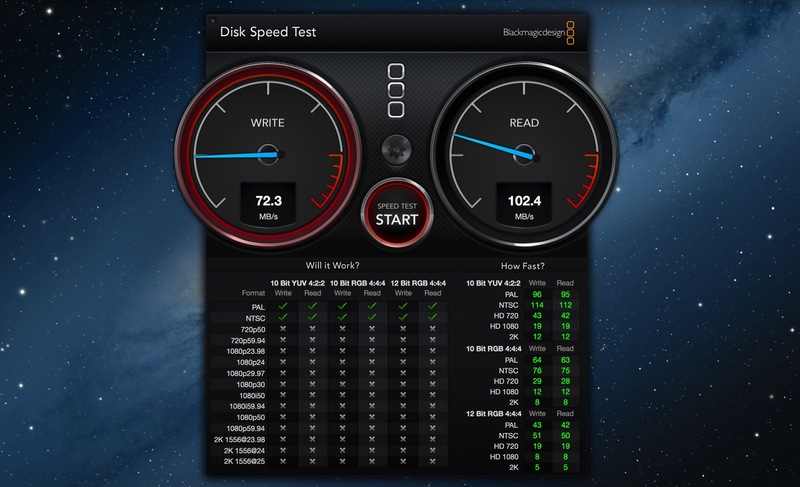 Well under 600 MB/s, but better than Test 1. And it does! So the culprit was the operating system, not the drive. So we got similar speeds to the first test. It’s difficult to take any conclusions out this, but one thing is for sure: theoretical speeds are not easy to get in any situation. These aren’t high performance devices but they all performed well under the theoretical read speeds. 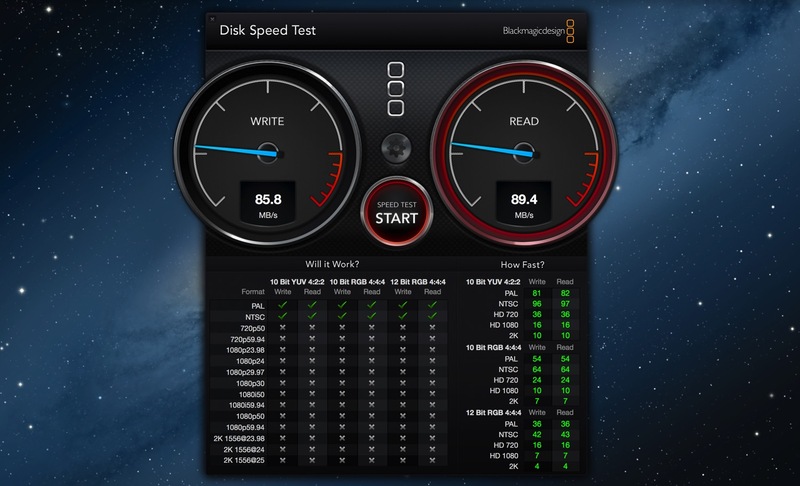 In any case Blackmagic Disk Speed Test is a very handy tool to have an idea of how well your devices perform in real life scenarios, though it would be nice to have some graphical speed charts and averages.